Indian prime minister Narendra Modi's high stakes meeting with Chinese President Xi Jinping in Wuhan made headlines on global news wires, print and digital media but was completely overshadowed on US television networks by the "Super Bowl plus Oscars" kind of spectacle of North Korean leader Kim Jong Un created by stepping across the border and vowing to end the Korean War at a historic meeting with his South Korean counterpart on the same day as the Modi-Xi huddle in Wuhan. US President Donald Trump lost no time chest thumping on the North and South Korea overtures. "They said it's not possible, let them go to war. Now we have a much better alternative than anyone ever thought possible! ", Trump said in an obvious reference to critics of his abrasive foreign policy style. Overall, US media is hooked increasingly to a triage of themes in its reportage in the Trump era: Donald Trump's early morning tweets, the Robert Mueller probe into Russian collusion in the US elections, the upcoming US - North Korea summit and midterm elections looming in November, 2018. The timing of the North Korea - South Korea meeting ensured that everything else got only sidebars in Friday media coverage in America. Also on Friday, a House panel releasing its report on Russian election meddling, saying it found no evidence the Trump campaign was involved, defining the weekend fix for the news cycle. A CNN story stuck to the bare bones of the India-China tangle, checking off all the boxes of recent skirmishes including the Doklam standoff last summer. 'When Modi Xi meet, Indian elections will set the tone', read a New York Times headline, also listing the Modi Xi meeting alongside the Korean leaders' meeting on its Friday briefing. Conservative news magazine National Review ran a China focused essay Friday which had no connections to the Modi meeting. Calling Xi the 'Master Illusionist', the magazine argues how China's leader "keeps the focus on conspicuous urban and military expansion, to distract from the nation’s spiraling debt and massive rural poverty." 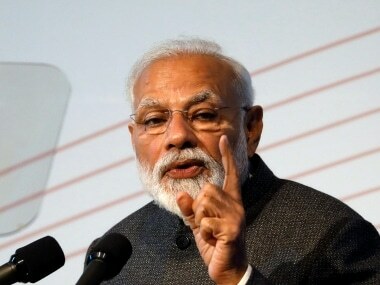 Prime Minister Narendra Modi is meeting Xi Jinping amid rising tensions along the countries' contested border and a rivalry for influence with their smaller neighbors that could determine dominance in Asia. 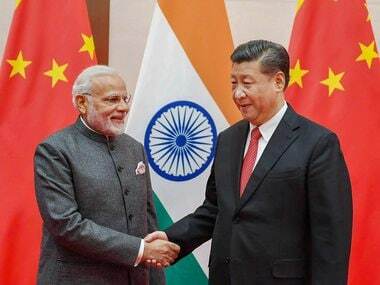 Xi greeted Modi at the provincial museum in the city of Wuhan at the start of two days of talks between the heads of the world's two most populous nations. "Conducting great cooperation by our two great countries can generate worldwide influence," Xi was quoted as saying by state broadcaster CCTV. Xi said he hoped the meeting would "usher in a new chapter of China-India relations." Following their talks, the leaders were to dine lakeside at a resort that had been a favorite of former Chinese leader Mao Zedong, who formed strong ties with an independent India before relations deteriorated over territorial disputes. They are to continue talks on Saturday with a walk along the lake, a boat ride and lunch together. China for its part resents India's hosting of the exiled Tibetan spiritual leader the Dalai Lama, and its control of territory Beijing says belongs to it. 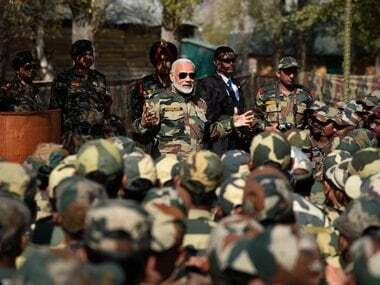 Following the most protracted standoff in years, India last year agreed to pull back troops from the disputed Doklam Plateau high in the Himalayas, where Chinese troops had begun constructing a road. China claims the strategically important region, but India says it belongs to ally Bhutan. Despite such differences, Modi hopes China can help drive Indian economic growth ahead of national elections next year. 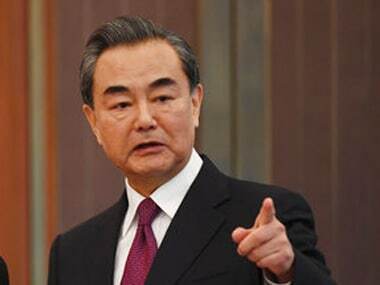 However, his administration has been notably reluctant to engage with Beijing's "Belt and Road" initiative linking its economy to those of Asia, the Middle East, Africa and Europe through massive loans and investments. Given the state of relations, the Wuhan summit should be seen as a conscientious attempt to steer ties in a new direction, said Wang Lian, a professor at elite Peking University's School of International Relations. 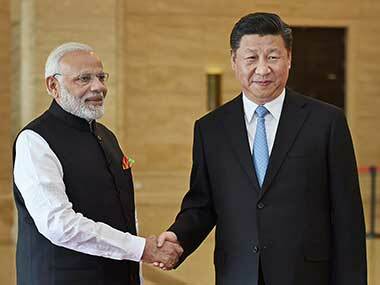 Regardless of the current visit's outcome, Modi appears intent on building a strong personal relationship with Xi, who will be China's leader for years to come following the lifting of term limits on the presidency.